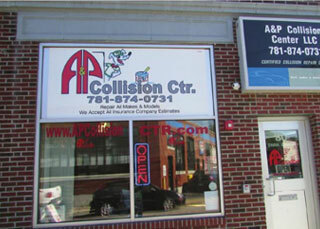 In 2010 CarStar A & P Collision Center opened its doors for the first time. The Shop services drivers within a 30-mile radius and prides itself on following a customer services-focused business model, a philosophy that helped it grow from a 3,800 square foot shop to 7,600 square feet this past September “My Favorite thing about the work that I do is trying to help people out after they’ve had an accident, “LaRose explains. “when they’re Upset and looking at their damaged car, I tell them we’ll return it better than what it looked like before and make them feel better. When they see the car at the end, they always appreciate it.””I think its more than likely our customer services that sets up apart from other shops, “he continued, “I bend over backwards for my customers. The happier they are, the more recommendations you get.” Although LaRose Has Success through his customer-minded approach, he is finding business growth difficult due to the inability to get new life into the industry. After looking for a new employee to add to six person team for over a year, he has started to become frustrated. “Finding personnel is the biggest challenge, “he admits” people don’t want to get into this industry if you can make the same money sitting behind a desk and you don’t have to get dirty.”It is for this reason and more that LaRose recently joined AASP/MA having Worked for a number of member shops in the past(as well as maintaining a close relationship with the loakim, he is well aware of the benefits of being a member)”It helps a lot;” he stated “I see all of the different things going on with laws and insurance companies current AASP/ Ma vice President Adam Loakim has come here and explained things that association is doing to help industry .We need to get everyone on the same page to fix the cars correctly and get new people into this business “LaRose believes these Conditions will improve within the next few years if the industry continues to work towards positive goals.”If we get the Labor rate Changed and work on enforcing some of the laws that insurance companies should be obeying but are disregarding, I hope we can get things in this industry straightened out, “he expresses. We specialize in repairing your car back to factory condition. We work with all major insurance carriers & welcome most online insurance companies. We strive to save you money & get your vehicle returned to you in pre accident condition within 3-4 weeks in most cases. we stand behind all our work 100% & even arrange Rental vehicles & pick up or drop off service if needed.